Glasgow Airport is providing young unemployed people with a route into work after backing a volunteering initiative. The airport has awarded £4,900 to ProjectScotland through its FlightPath Fund and the money will enable seven people aged between the ages of 18 and 30 to take up full-time volunteering roles with a charity or social enterprise. Placements lasting several months will not only offer routes into employment for the volunteers, they will also provide charitable organisations with additional resources and benefit the communities in which they work. 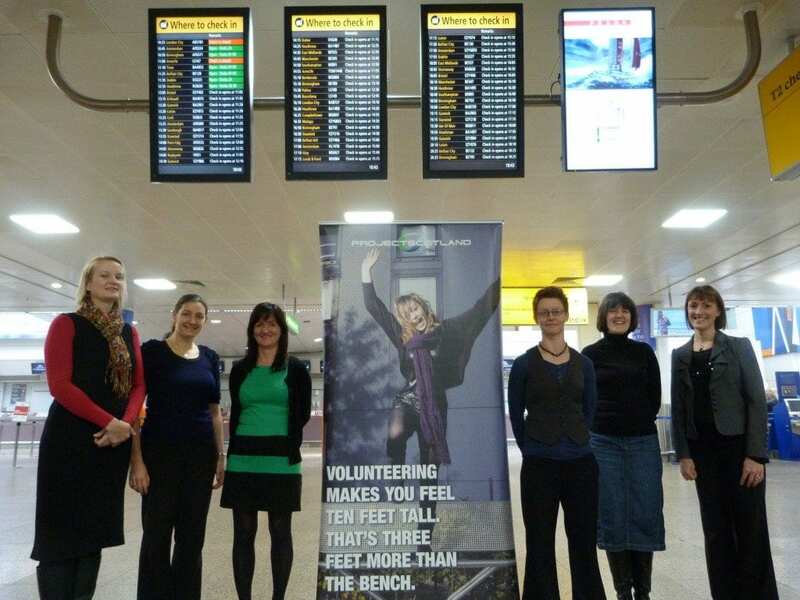 ProjectScotland has estimated that the placements funded by Glasgow Airport could benefit charities and communities with more than 5,000 volunteering hours. The volunteers and organisations they are placed with will be selected from communities in the four local authority areas which lie under the airport’s flightpath – Renfrewshire, Glasgow, East Dunbartonshire and West Dunbartonshire. Each participant is matched with an organisation deemed a ‘good fit’ for them so that they have the best possible chance to identify and appreciate their strengths and possible career options. The placements also strike a balance between work and learning, with the volunteers being supported by a personal mentor. Maureen Jamieson, Glasgow Airport’s head of procurement, was so impressed with the work done by ProjectScotland she signed up to become one of their mentors, and added: “One of the reasons for establishing the FlightPath Fund was to tackle social issues such as youth unemployment so we are very excited about being able to help ProjectScotland break down barriers for these young people. Rucelle Soutar, ProjectScotland’s Finance Director, said: “Youth unemployment in Scotland has been rising steadily in recent years and some of the worst affected areas lie under the Glasgow Airport flightpath. Young people are looking for opportunities to develop their skills and gain the practical workplace experience sought by many employers. Visit www.glasgowairport.com for more info.